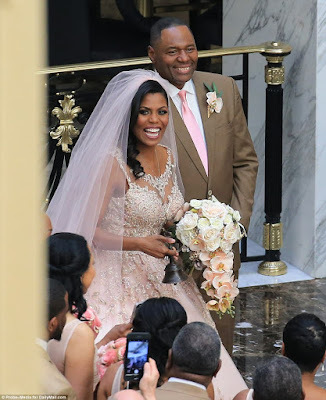 Omarosa Manigault, 43, who is Donald Trump’s Assistant and a senior staff member of President Donald Trump’s administration got married in Trump’s Washington DC hotel Saturday morning to her Pastor husband after several death threats. 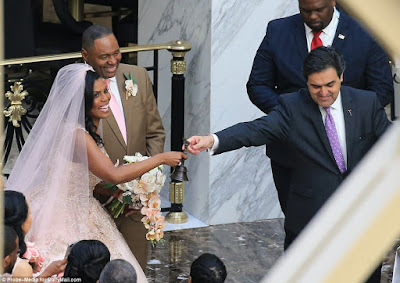 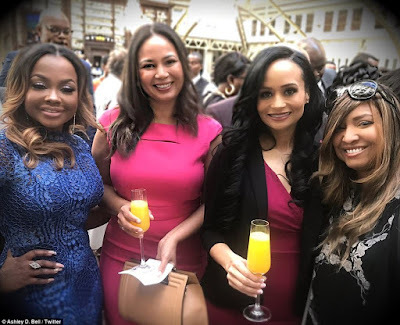 The former Apprentice cast member tied the knot with Pastor John Allen Newman, 61, at the Old Post Pavilion in Trump Hotel, a stone’s throw from the White House. 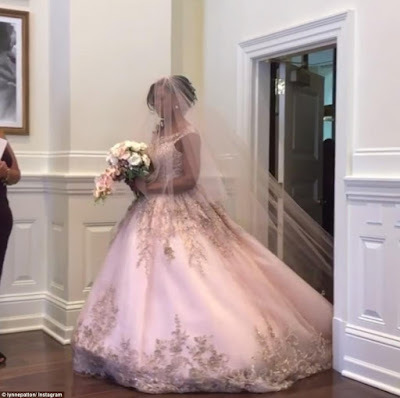 About 70 people attended the wedding in the hotel’s Presidential Ballroom, including her 70 year old mother. 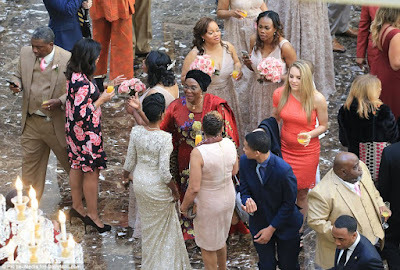 The wedding ceremony was followed by a brunch and reception. 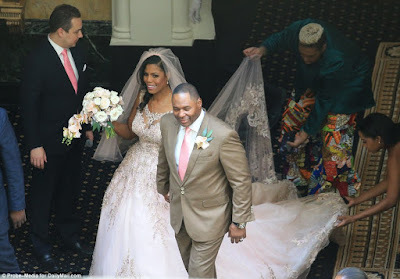 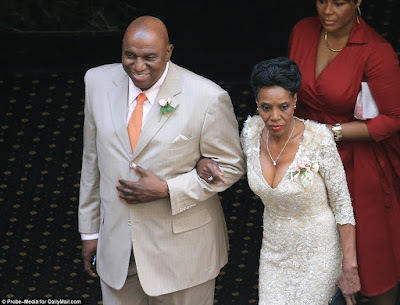 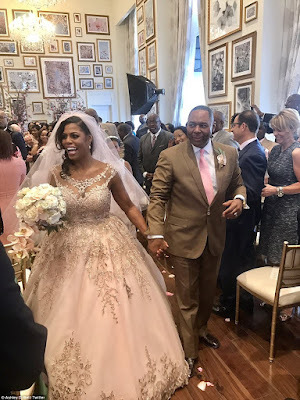 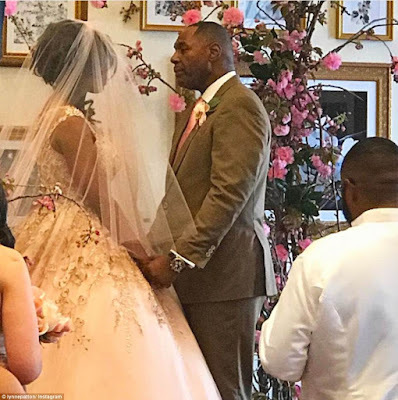 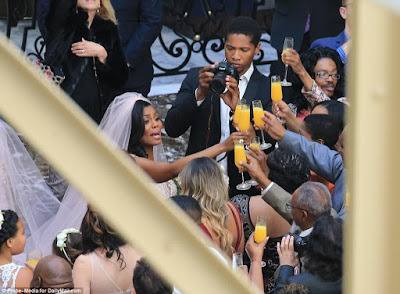 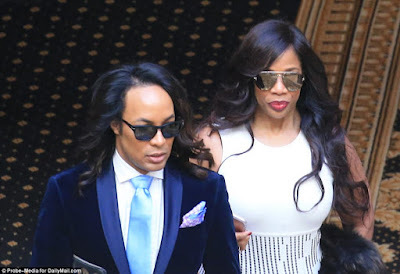 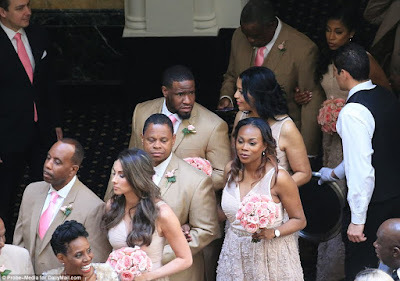 The couple exchanged vows at an intimate private ceremony and the celebration went forward without incident – despite Omarosa’s concerns about death threats she received from crazy people because of her connection to the Trump administration.. 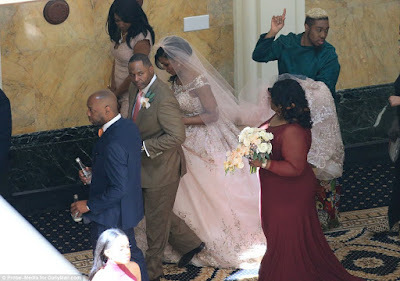 There was a brief scare when one of the bridesmaids almost fainted at the end of the service, fortunately, a female gave her a glass of water and she recovered. 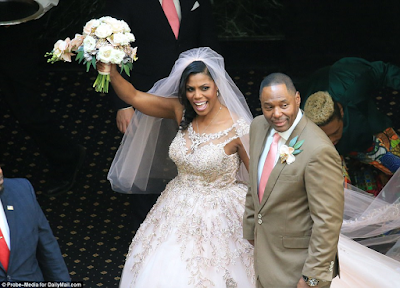 After the ceremony, the guests gathered for a brief cocktail reception in the hotel’s ornate art-deco lobby under a 200-foot-high glass ceiling. 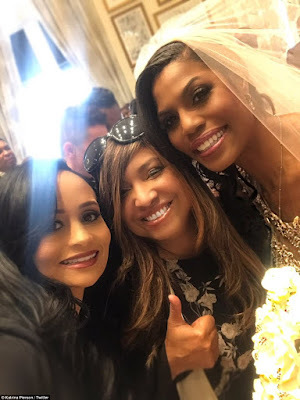 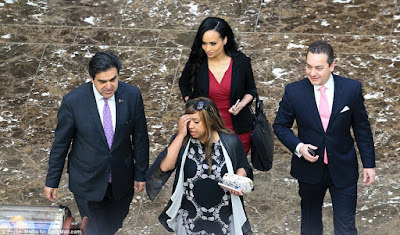 Some of the attendees included Lynne Patton, a former Trump SVP and now adviser to Ben Carson the Secretary of Housing and Urban Development, Niecy Nash of Reno 911! 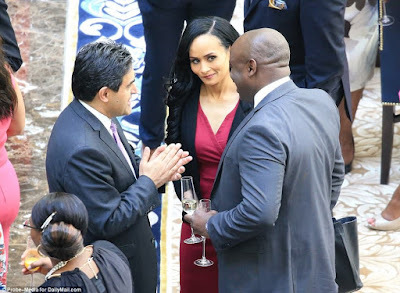 fame and Katrina Pierson, a spokesperson for the Trump campaign. 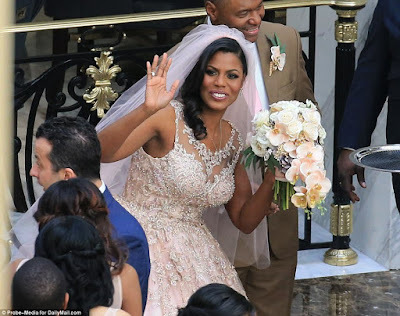 President Donald Trump wasn’t in attendance as he was still in Mar-a-Largo.